Rob Chapman was Chairman and CEO of Inman Mills. “I don’t think there was a day in his life when he didn’t pick up a golf club,” said Country Club of Spartanburg Director of Golf Tom McAllister, “He had putters all over his office and golf was a big part of his life,” said the pro. Robert Chapman, III passed away on August 23rd at the age of 66. His death was sudden and shocking to his friends in the golf and textile communities where he had distinguished himself as a leader. “ The first round of golf I played when I got to Spartanburg was with Rob back in 1972,” said McAllister. “I found out over the years that Rob was a really good golfer and an even better person,” said the Spartanburg pro. Chapman was the Chairman and CEO of Inman Mills. He also was a valued committee chairman at Augusta National where he headed up the Cup and Tee Marker committee, basically setting up the golf course for the Masters. Just a week before his passing he was playing golf with the new Chairman of the club Fred Ridley. Rob Chapman (left) had a love for the game of golf that came from his father Bobby who was a CGA and SCGA President. It was destined that the son of Robert Chapman, Jr would be involved in the game. His father held the rare distinction of being both the president of the South Carolina Golf Association and the Carolinas Golf Association. Chapman was a college golfer at the University of the South and was the medalist in the schools conference tournament as a senior. Sewanee honored his outstanding career by naming him to their Athletic Hall of Fame. 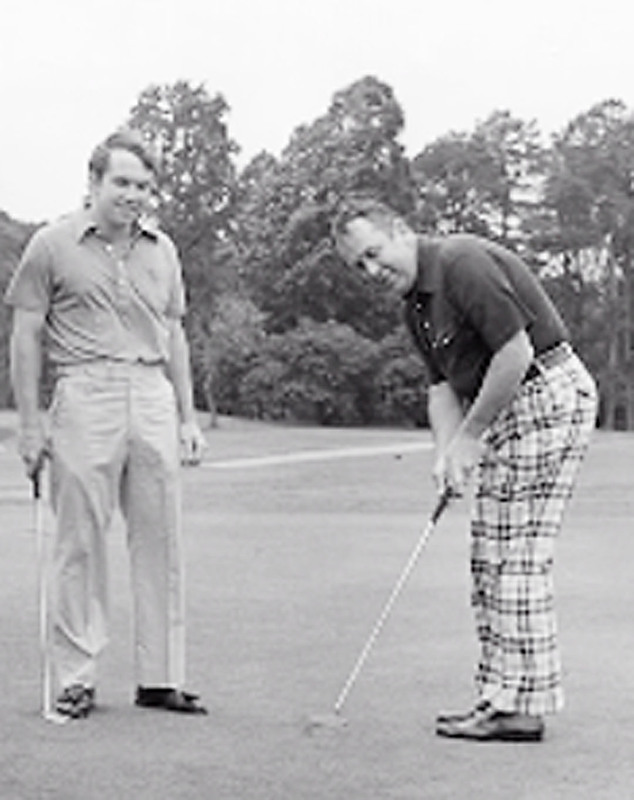 As a country club golfer and club champion in and around Spartanburg, Chapman earned a reputation as a strong competitor while being a sportsman and gentleman on the course. In business his leadership helped save Inman Mills during a very difficult period for the textile industry after the turn of the century. 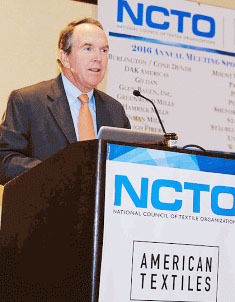 He was inducted into the South Carolina Business Hall of Fame and won dozens of awards for his leadership of the textile industry. “We didn’t just lose someone who was great for golf we lost someone who you can’t put into words how important he was to the entire community,” said Doug Smith, the chairman of the Bobby Chapman Junior tournament. Rob Chapman (in yellow shirt) helped make the Bobby Chapman Junior a nationally recognized championship. Over 20 years ago he did more than just stay out of the way. A group of textile executives wanted to do something to honor his father’s memory and Rob helped channel their efforts to support junior golf. 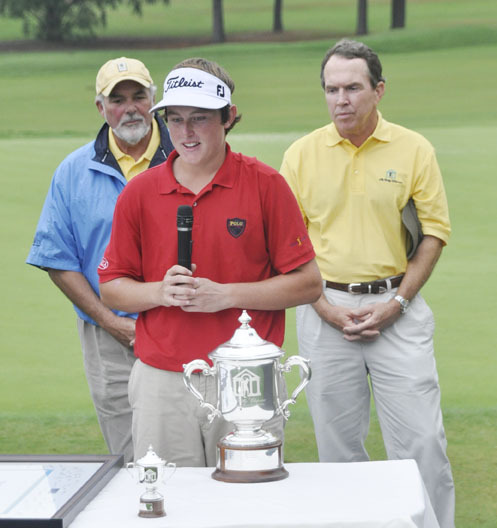 The Bobby Chapman Junior Invitational was started and the event has become a significant junior championship that carries on the Chapman name. “We have a great junior tournament now and one of the big reasons was how much Rob did to help it get started,” said Smith. “Early on it was Rob calling to get us help and business leaders responding because of the respect they had for Rob, his father and the Chapman family,” said Smith. The upcoming Chapman Junior tournament this month will honor the memory of Rob Chapman and remember all the good times and success the event has produced. In addition to being a great showcase for young golfers the event has raised considerable funds to support scholarship programs. While Bobby Chapman and Rob were from a different era that might not impact young golfers today, when they leave the Chapman tournament they have a better appreciation of the efforts of the Chapman’s to give something back to the game and make their play in a great tournament possible. 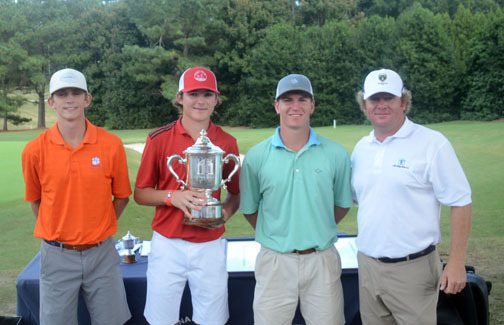 PGA Tour pro William McGirt presented the winners trophy at the most recent Chapman Junior in Spartanburg. The tournament is named in honor of Rob Chapman’s father, Bobby Chapman, Jr.
On many occasions Chapman would see the same players like Bubba Watson and many others he helped showcase at the Chapman playing in Augusta on the games biggest stage. Rob Chapman is survived by his wife Lacy, two daughters, four grandchildren. Services were held on August 25th at First Presbyterian Church in Spartanburg.